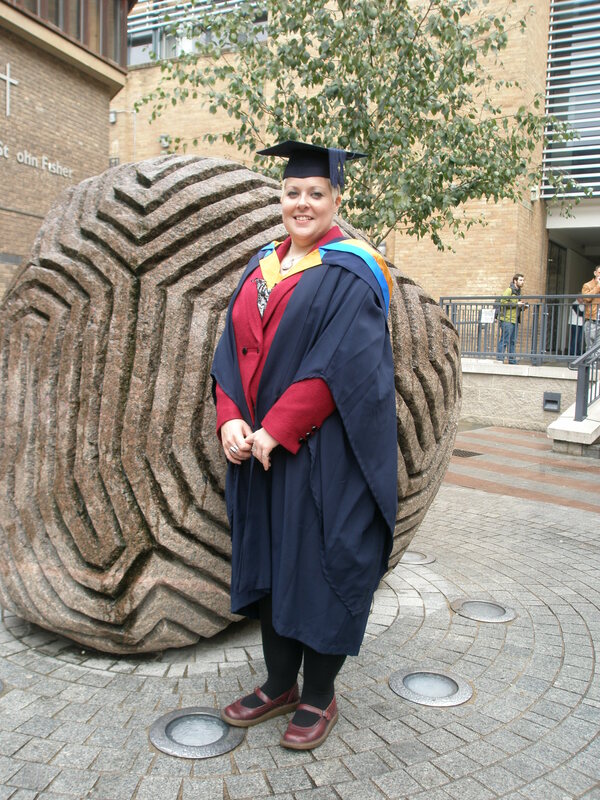 Thursday saw me dress up formal and attend the Corn Exchange in Cambridge to attend my graduation ceremony. I orginallly had reservations about going as wouldn’t know anyone else graduating and after 7 years of study was just glad to be done. After talking to various people and realised that the ceremony wasn’t just for me, it was for those who had supported (put up with) me and without whom I wouldn’t have got through the bad times. It seemed only fair they got to celebrate the good times. It was an early start as I had to collect my robes and get photographed at 9am (I know this isn’t early for most, but I don’t normally get up until 10am) and the meet my parents in the city to make sure they were queing up to get in by 10am. I turned out that I was sitting in the front row so had an interesting view of the stage, on the plus side I had plenty of leg room. The ceremony was less boring than I expected (even if I was in the last group of graduates to go up on the stage) and Mark-Anthony Turnage and Frankie Dettori were there to received honary doctorates. After the ceremony we had a lovely lunch and by then I was pretty tired so came home.